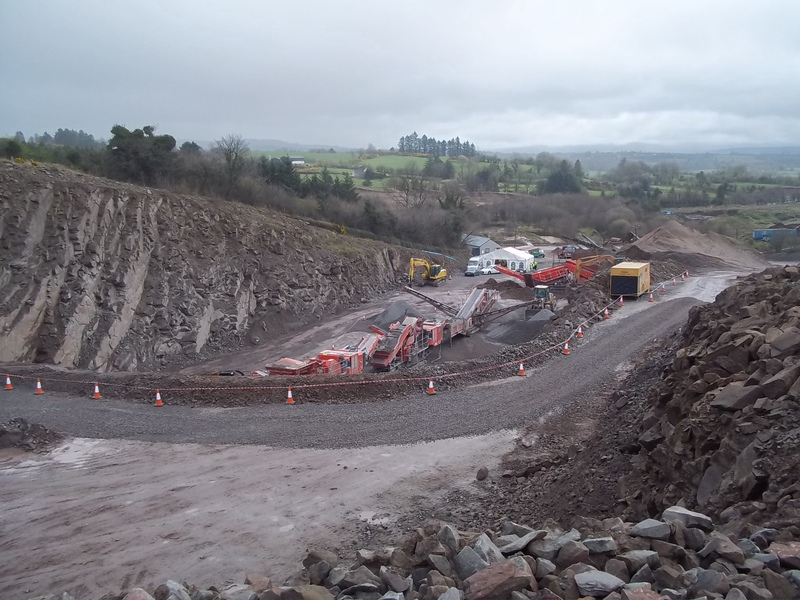 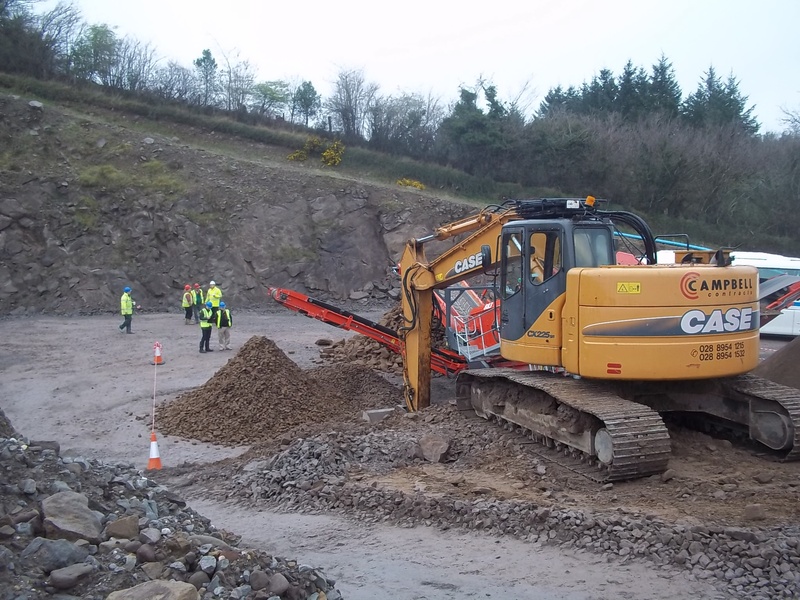 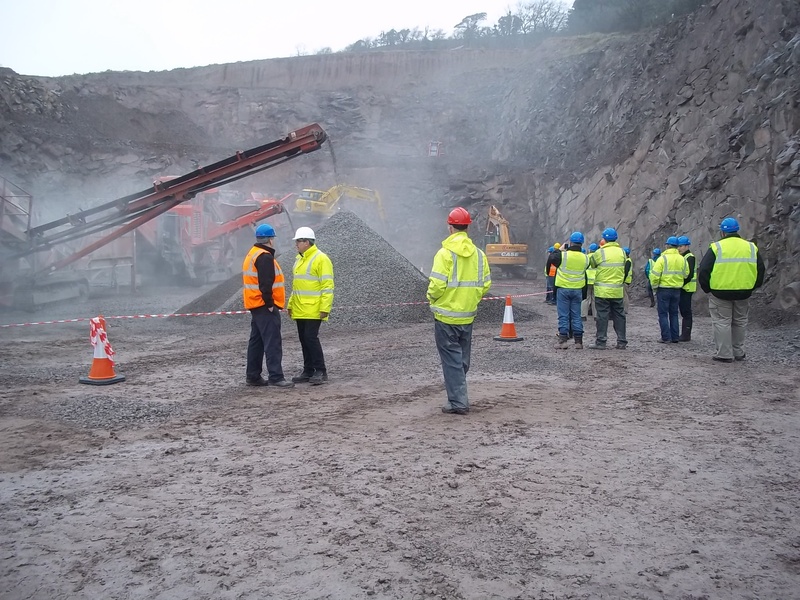 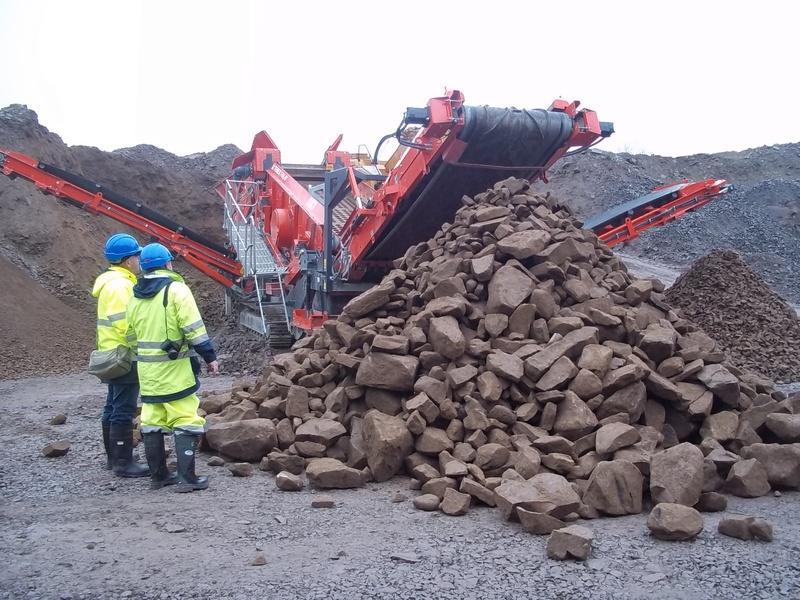 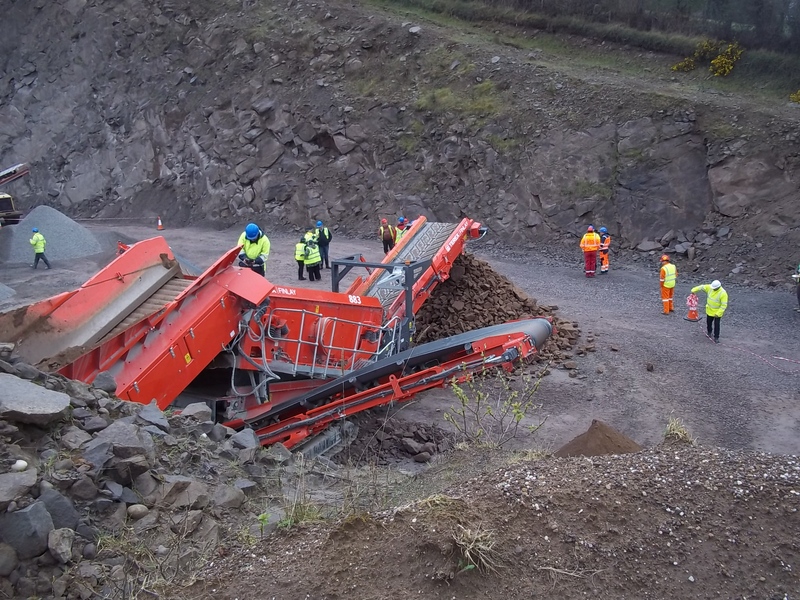 Terex Finlay organised a plant demonstration day in our quarry for 3 machines that they were promoting. 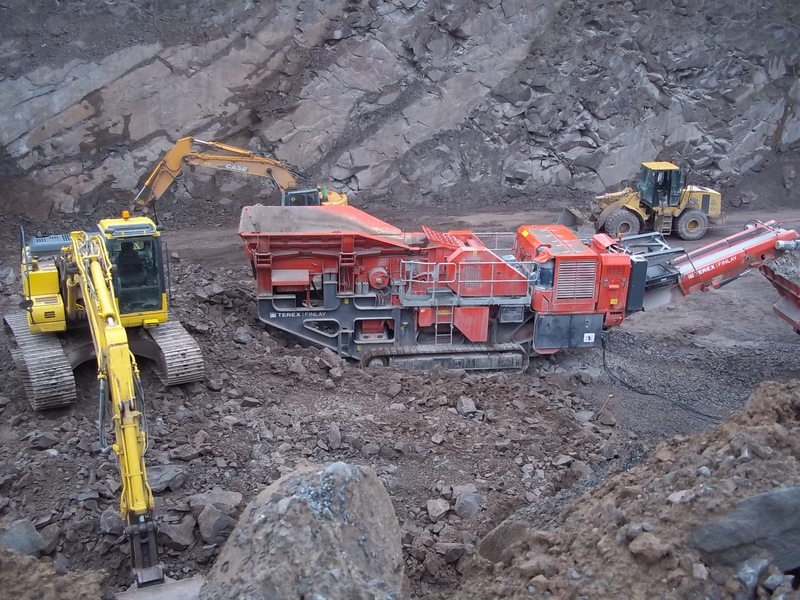 Two of the machines, a cone crusher and a jaw crusher, are powered by electric motors and can be driven either by the machine’s own engine or by a seperate generator. 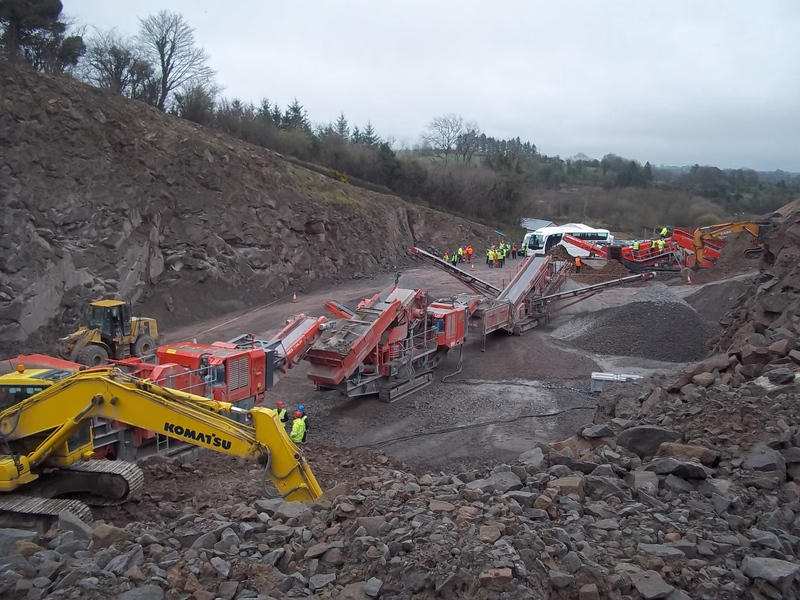 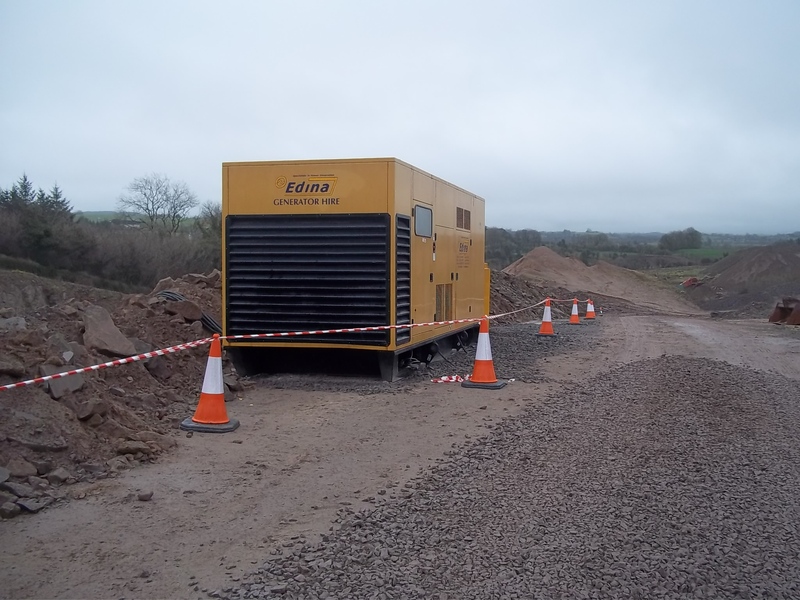 On the day of the demonstration both the crushers were powered by one large generator making for substantial fuel savings. 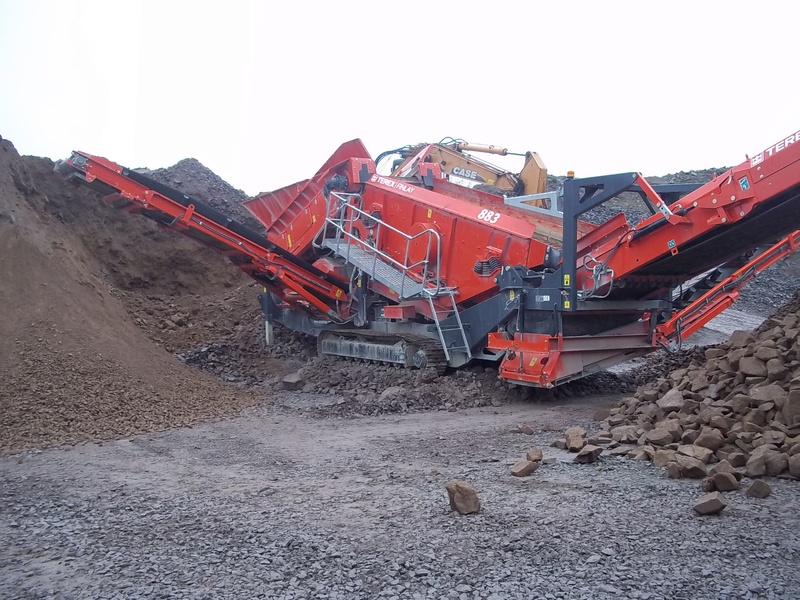 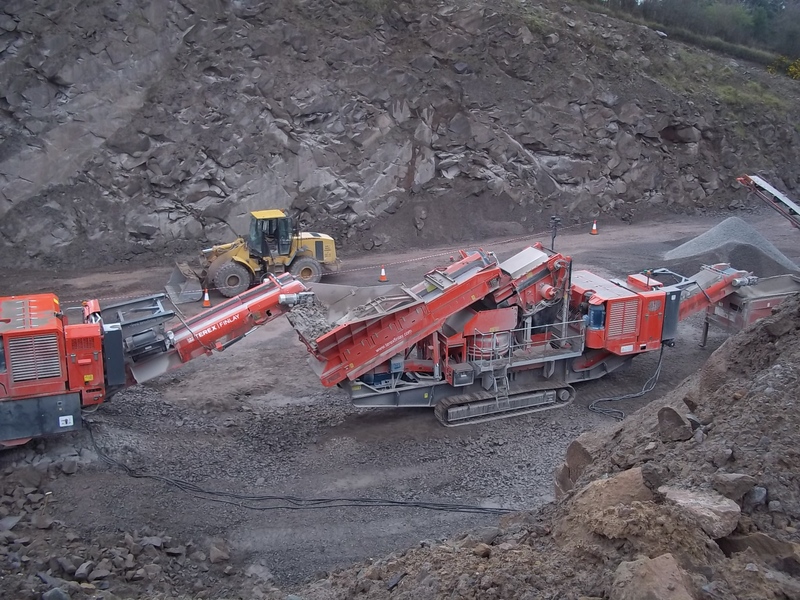 The 3rd machine was a 883 + heavy screener and all these machines should be on display at the Hillhead Show. 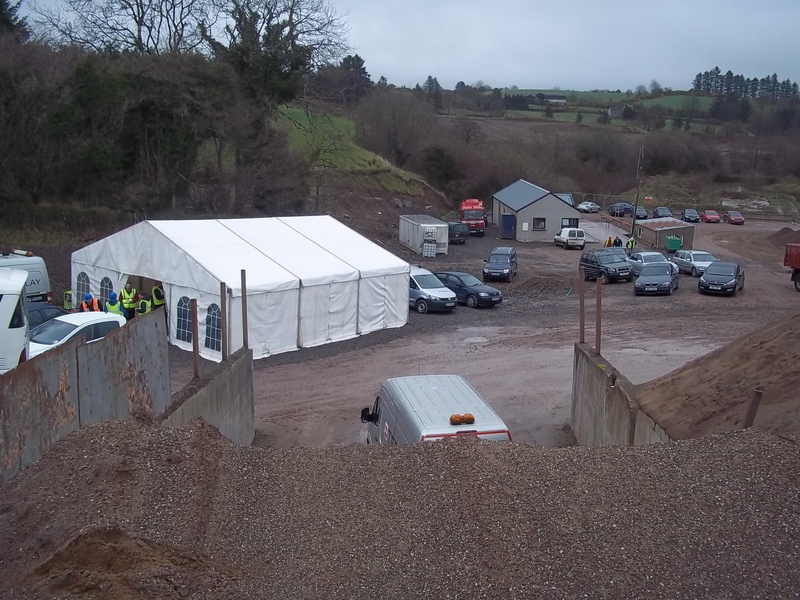 Terex had clients from across the world at the demonstration and all enjoyed the food supplied by Cornavarrow Cuisine, and the dry weather in Letterbailey. 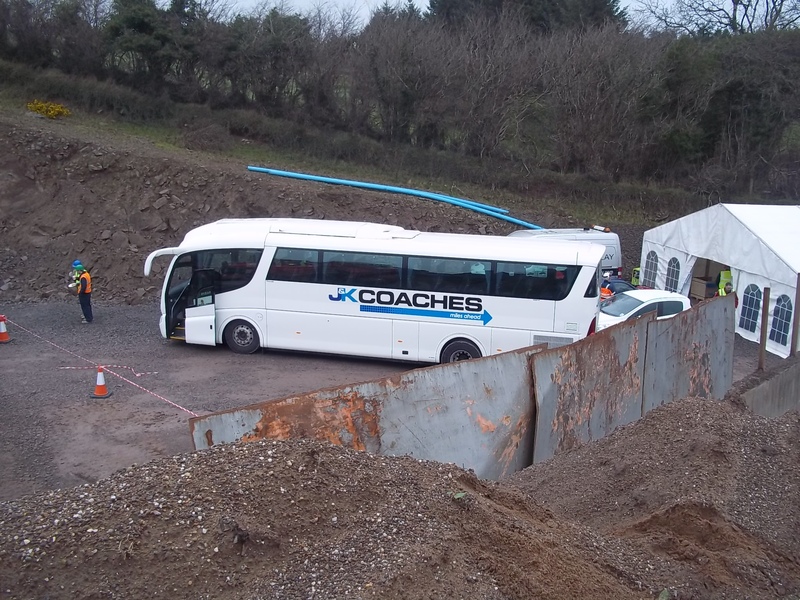 Over the course of the day nearly 100 people visited the demonstration and there was even a luxury coach up at the rock faces!